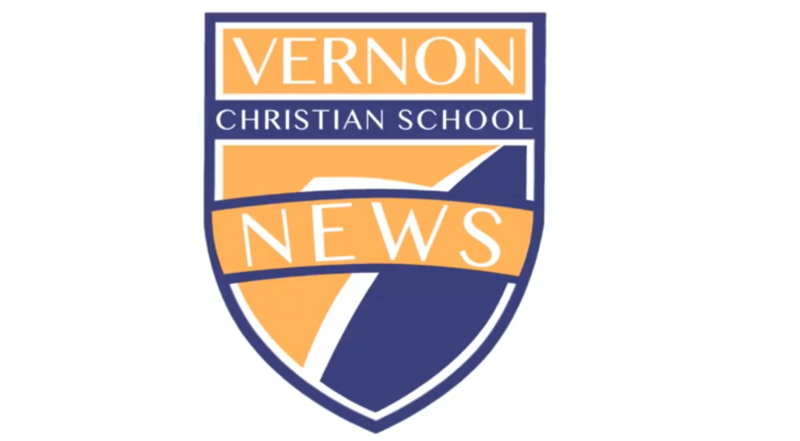 Check back each week for VCS News! The VCS Visual Arts Media 11-12 class has been up to something. The class recently painted a small portion of wall in the back of the computer lab in order to set up a newscast. The class hopes to publish a weekly newscast (time allowing) giving you some highlights/happenings from the past week as well as upcoming items on our school facebook page. This is a big undertaking in only 3 hours a week. Different students will serve as the anchor for each episode. We are still working out issues and hope for things such as audio quality and photos to improve, so please bear with us. Information is current as of the time of posting, but changes can occur. This is a great learning opportunity for us. We hope to visit CHBC news in Kelowna to get the feel for the workings of a real newscast. Real work, real audience. Welcome to the inaugural VCS News episode. Produced by the VCS Visual Arts Media 11-12 class, we hope to provide highlights and reminders about upcoming events each week. We have limited time each week, but a desire to learn and produce better quality video, photos and stories every time. Students will take turns stepping up in the role of anchor as well. While information is current, please realize that things do change. Thanks for watching.